Best-Ever Teen Novels? Vote For Your Favorites To add a little drama to your summer, NPR is assembling a list of the best young adult novels ever written. Let the voting begin! 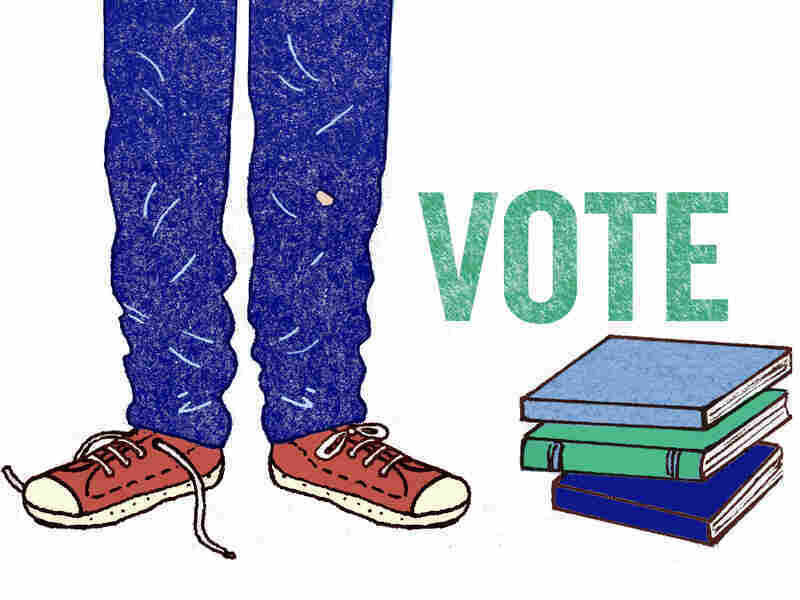 In winnowing the roster to a manageable size for voting, we considered both a book's popularity — as represented by the number of nominations it received — and the question of how well it fits the YA category. The latter sparked plenty of debate; there is, after all, no objective test for teen fiction. Is Pride and Prejudice YA? What about The Catcher in the Rye? Or The Lord of the Rings? (No, yes and yes, respectively.) The judges looked at qualities such as a book's themes, the age of its main characters, its reading level. But in the end, the most important test was often whether a given book is one that teens themselves have claimed — whether they do, in fact, voluntarily read it. The resulting list is an interesting mix of classics and new titles (click here for a printable list of all the finalists). But Where's MY Favorite Book? And so, let the voting begin! Everyone gets 10 votes. Once you've selected your top-10 titles, scroll to the bottom of the poll and click "Submit." Feel free to reminisce about your favorites — or lobby for them — in the comments section. We'll be back in a few weeks with a list that should keep the young people in your life entertained and inspired until long after their teen years exist only as cringe-worthy memories. Voting is now closed. Click here to see the list of 100 winners! Pamela Paul is the features editor and children's book editor at The New York Times Book Review. You can follow her on Twitter @pamelapaulNYT. Diane Roback is the children's book editor of Publishers Weekly and the editor of PW's weekly Children's Bookshelf e-newsletter. Tasha Robinson is the book editor of The A.V. Club, the arts and entertainment wing of The Onion. She curates the A.V. Club's "YA Why?" column on notable new and classic young adult books. Ted Schelvan is a teacher librarian at Chief Umtuch Middle School in Battle Ground, Wash., and is chairman of the committee to select this year's YALSA (Young Adult Library Services Association) list of best young adult fiction.